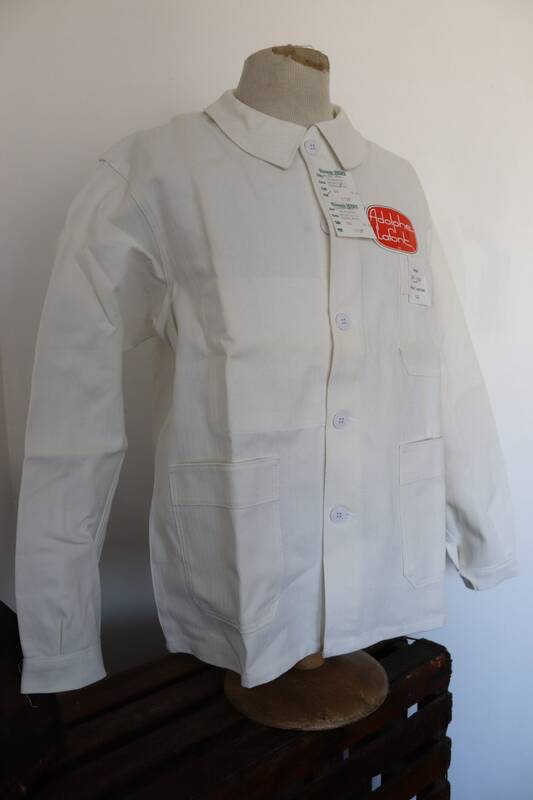 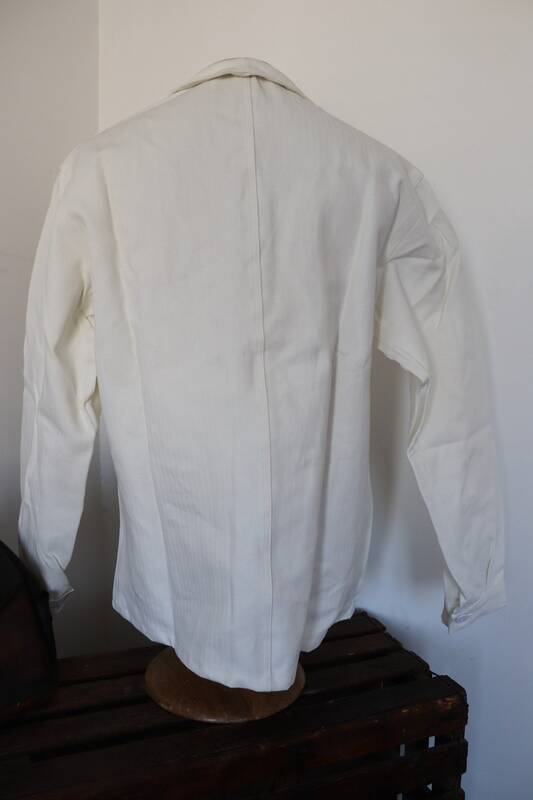 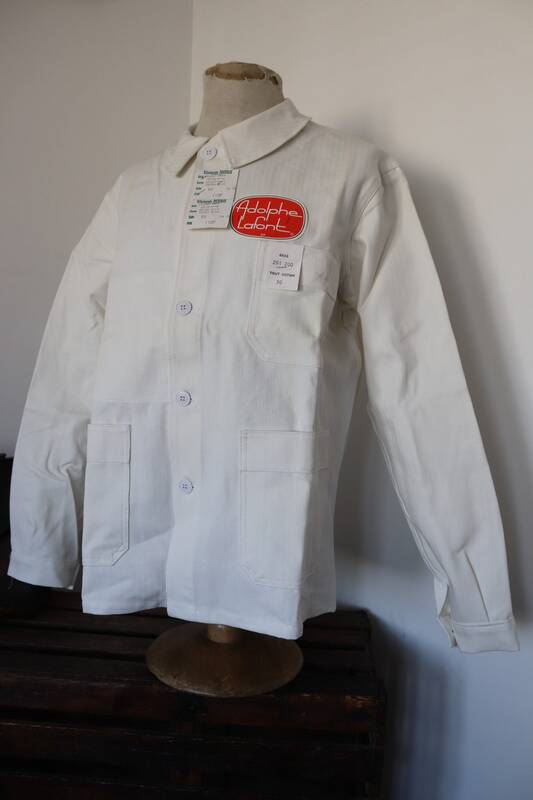 A deadstock, unworn French cotton twill painter's jacket, dating from the 1960s. 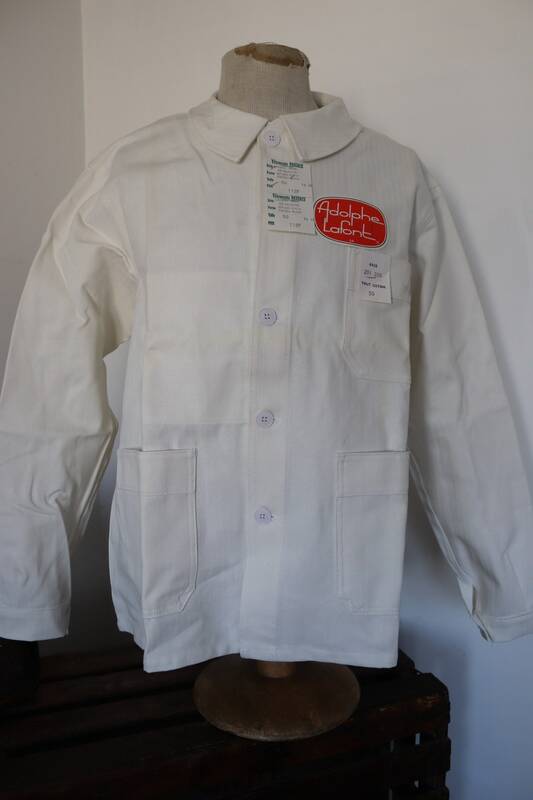 Noted flaws - some light storage marking, but in otherwise excellent, unworn condition. 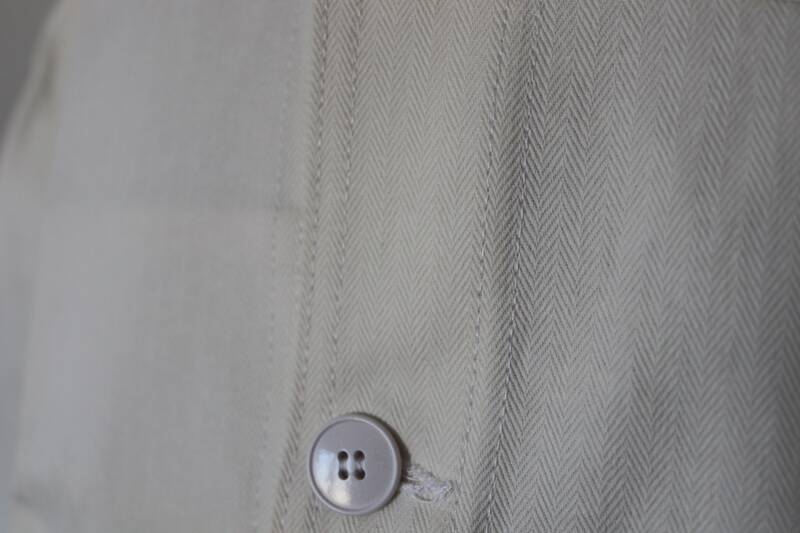 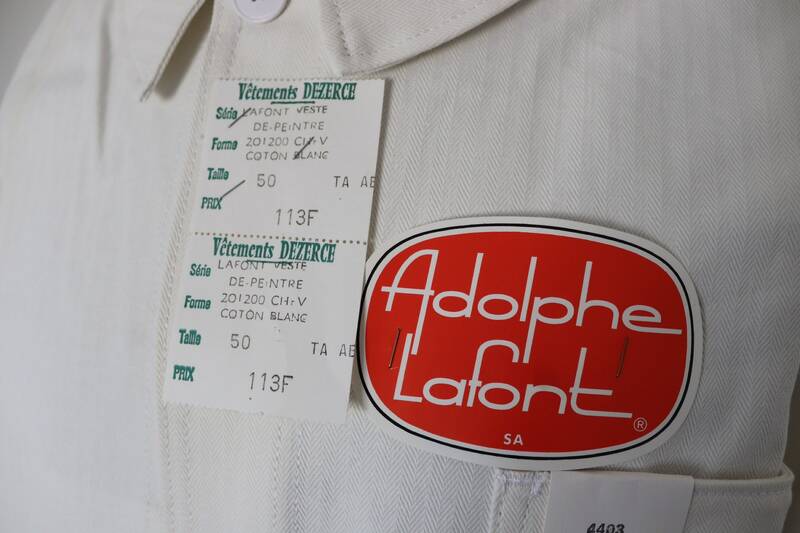 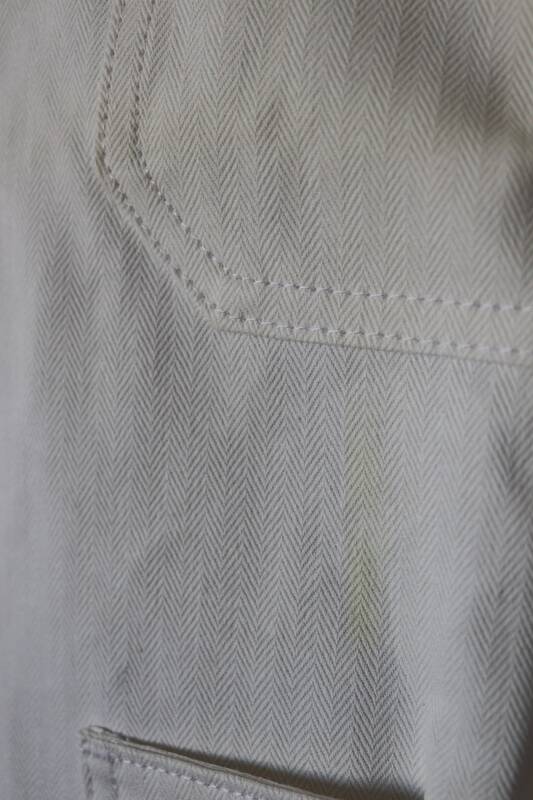 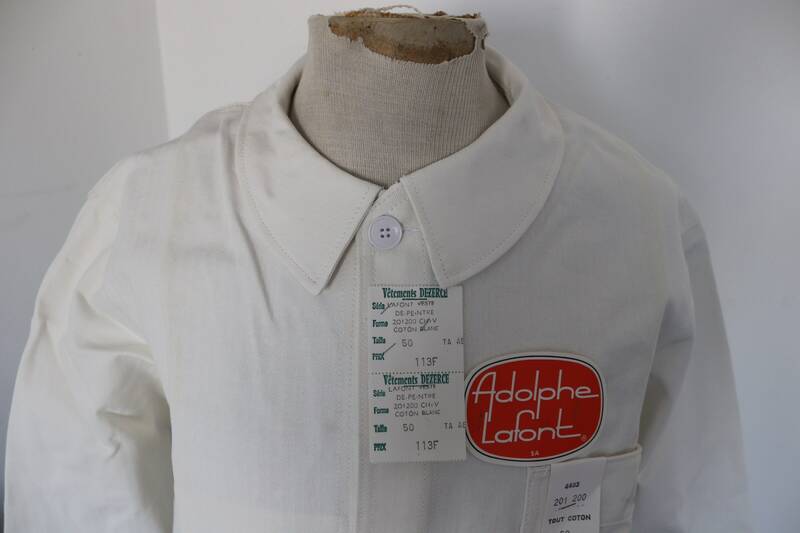 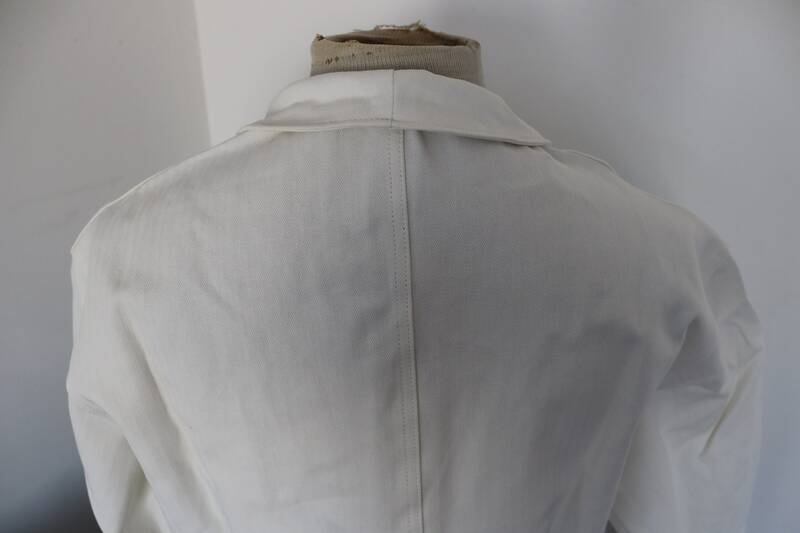 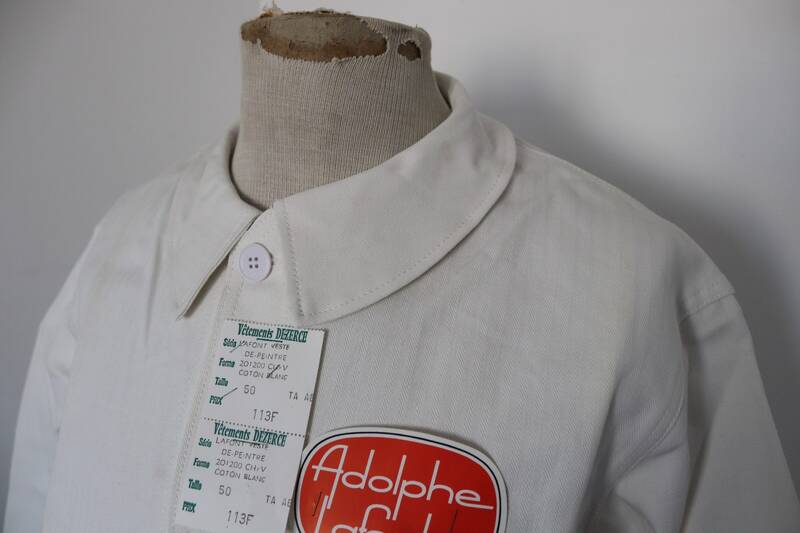 Original tags still attached, herringbone twill, rounded collars, full set of original buttons, great style.